There is absolutely nothing better than apple desserts, especially in winter. I find them to be the most comforting of dishes. 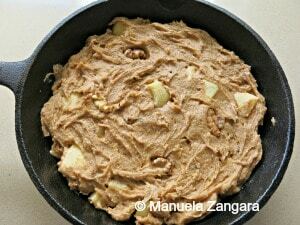 I love the flavour, the consistency, the aroma that fills the house when you bake anything made with apples. 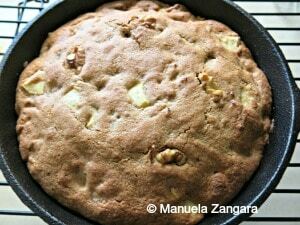 This Apple Skillet Cookie with Maple Butterscotch Sauce has become a huge family favourite in a very quick time. I also made it for my parents when they were here. They are not big fans of sweets, but they loved this dessert. I particularly love the hint of vanilla and cinnamon in the cookie. 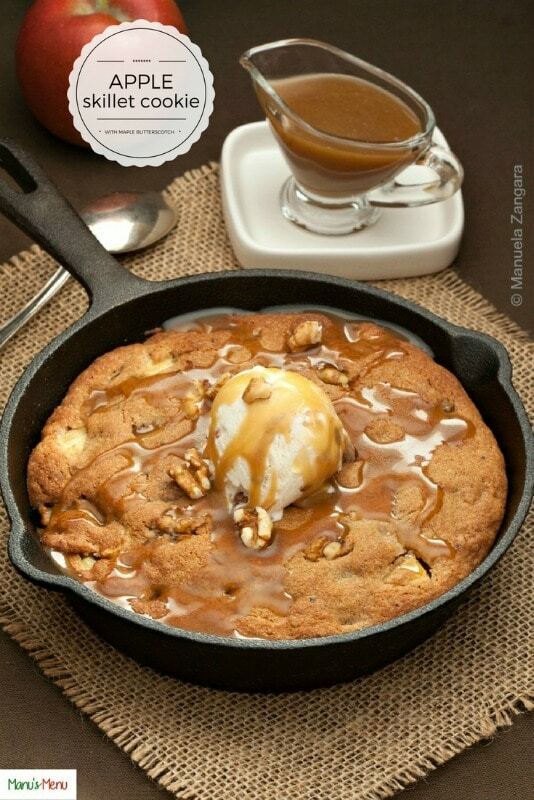 The combination of the apple cookie, with vanilla ice cream and maple butterscotch sauce is to die for. And did I mention how good the butterscotch sauce is?? I did, right? Try it and leave a comment to let me know what you think! 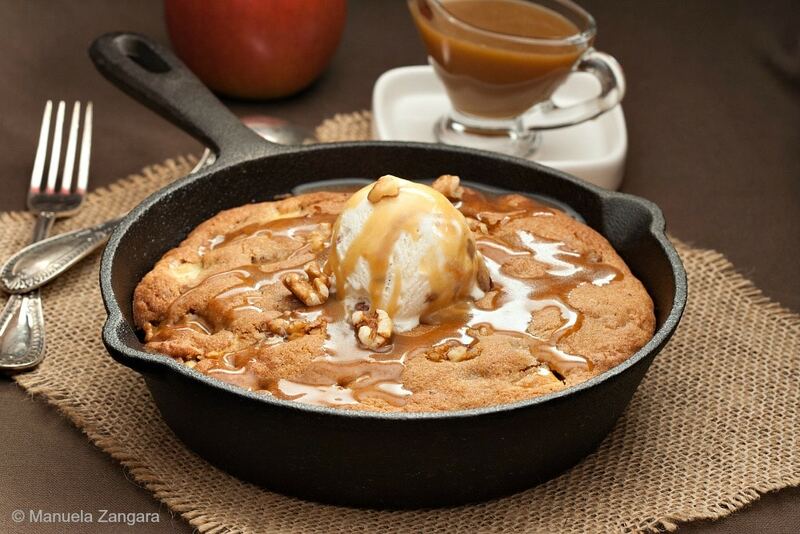 Apple Skillet Cookie with Maple Butterscotch Sauce - the most comforting winter dessert ever. Grease a 19 cm – 7.5” skillet and keep it aside. Beat the butter, brown sugar and granulated sugar until creamy. Add the egg and the vanilla extract. 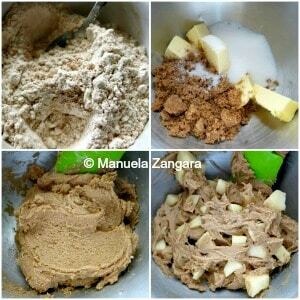 In a separate bowl, whisk together the flour, salt, baking powder, cinnamon and toasted walnuts. Slowly add the dry ingredients to the wet ingredients. Mix until incorporated. Pour the thick batter into the prepared skillet and flatten it. Bake in a pre-heated oven at 180°C – 355°F for 20-25 minutes or until golden brown. 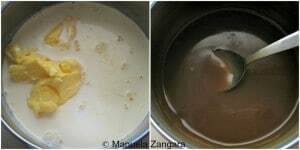 Put the butter, brown sugar, syrup and cream in a saucepan and cook it over medium heat, stirring, until the sugar dissolves. Turn the heat up and bring the mixture to a boil, continue cooking on a low boil for 12 to 15 minutes or until it thickens. 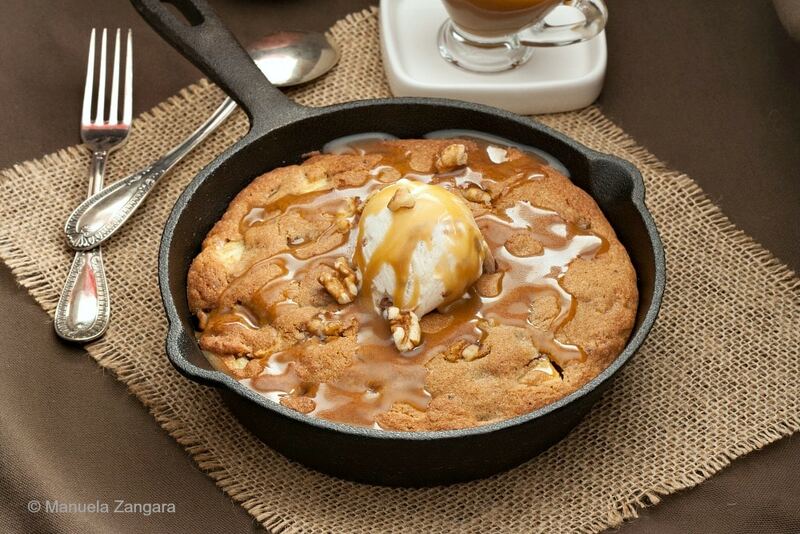 Serve the skillet cookie with a scoop of vanilla ice cream and the maple butterscotch sauce on the top.